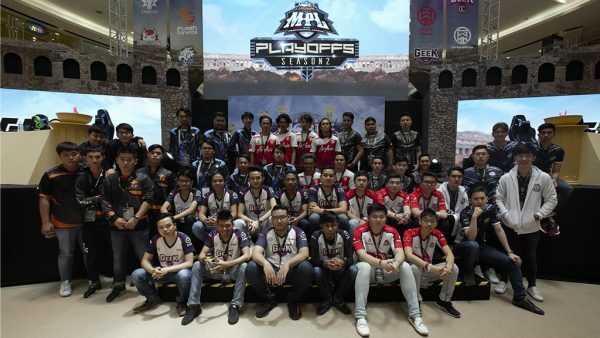 Updated on 16 January 2018: The ROG Swift PG27VQ will be available in the first week of February at S$1,399. 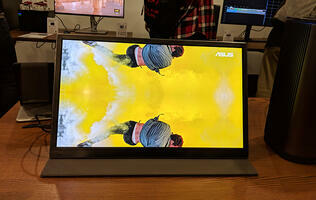 ASUS has announced the ROG Swift PG27VQ gaming monitor at its Outshine the Competition event in Berlin, adding to its already formidable arsenal of high-end displays. 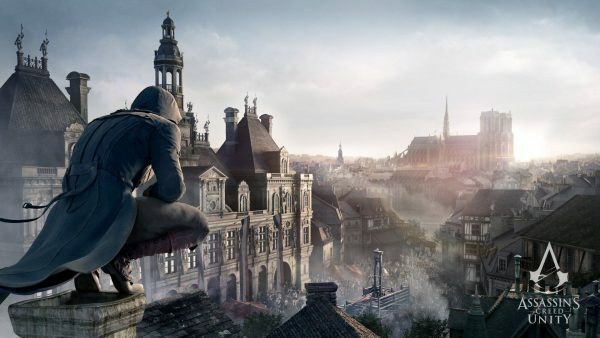 As graphics cards become more powerful, even in the mainstream segment, gamers are likely to demand higher resolutions and more advanced display technologies like High Dynamic Range (HDR). 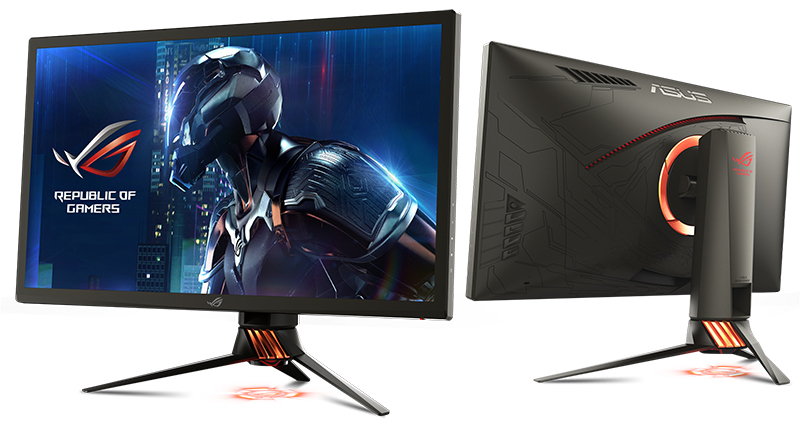 The ROG Swift PG27VQ is one of the most feature-rich monitors around. For starters, this 27-inch curved gaming monitor boasts a 2,560 x 1,440-pixel resolution and NVIDIA G-Sync technology, so you should get crisp pictures and a butter-smooth gaming experience. It's just a pity that it's hitting retail with a TN panel, despite earlier material that cited the use of quantum dot technology. That aside, it boasts a 165Hz refresh rate that will allow you to make the most of the powerful GPUs on the market. Even if you wish to disable G-Sync for the lowest possible input lag, things should appear relatively smooth and fluid. 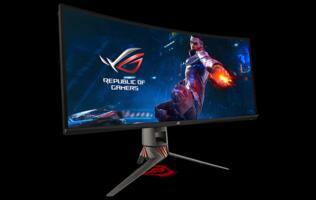 According to ASUS, this is also the world's most responsive curved gaming monitor, with a speedy 1ms response time. 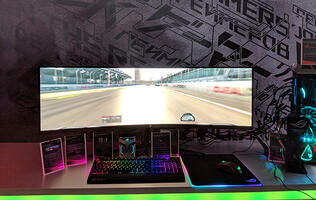 In addition, this is the first curved gaming monitor to come with ASUS Aura Sync RGB illumination. The lighting is projected from the rear of the display, and you’ll be able to synchronize the effects with in-game action and other Aura Sync hardware and peripherals. 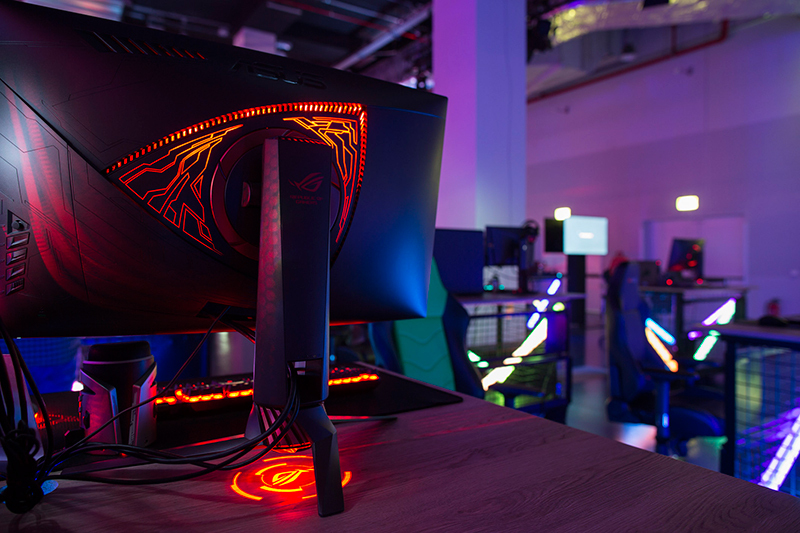 ASUS also showed off the 27-inch ROG Strix XG27VQ at its Berlin event, a slightly more modest offering with a 1,920 x 1,080-pixel resolution. 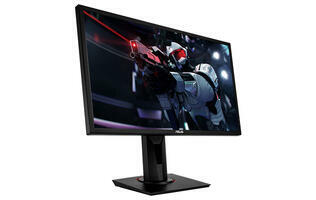 Still, it is curved display and boasts a 144Hz refresh rate for more fluid movement and support for VESA’s Adaptive-Sync technology, which means it should support AMD FreeSync. The company touched on the ROG Swift PG27UQ display as well, a 3,840 x 2,160-pixel HDR screen with 384 dynamically-controlled lighting zones for improved contrast. 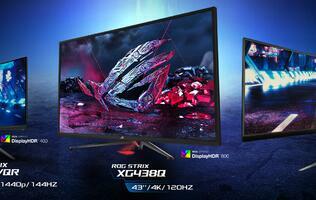 Like the ROG Swift PG27VQ, it uses quantum dot technology and supports the cinema-standard DCI-P3 color space. 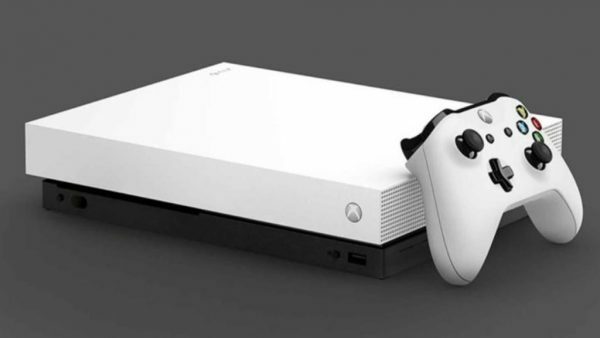 Best of all however, it also comes with a native 144Hz refresh rate and support for NVIDIA G-Sync, which means you get to enjoy super smooth HDR content. 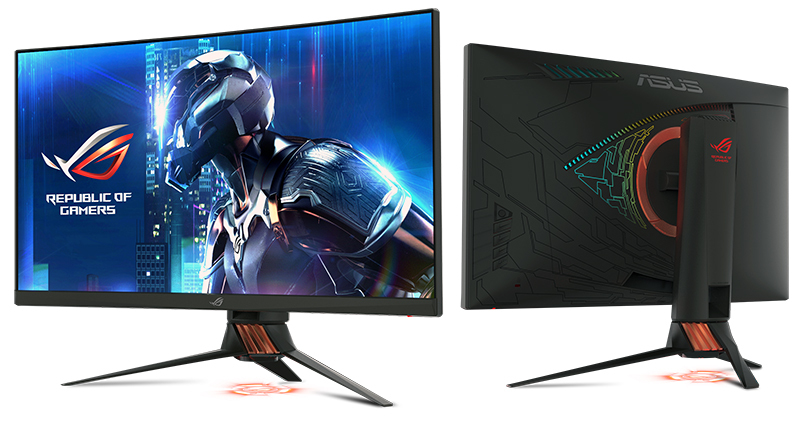 Both the ROG Strix XG27VQ and ROG Swift PG27UQ were first announced at CES 2017.